Since 2012, I’ve been interviewing vegan athletes from all over the world - from Olympians and professional sportspeople, to bodybuilders, triathletes, cyclists, race car drivers, boxers, gymnasts, martial artists, dancers, personal trainers and weekend warriors. Many of you have been inspired by the information and journeys of these vegan athletes, fitness fanatics and exercise enthusiasts from the online series. This will be a great time to get an autographed copy, as after this print run the book will be available (as my others are) to order Print On Demand through places like Adlibris, Barnes & Noble, Amazon UK, Amazon US. Make sure you send me the details for what you're buying. 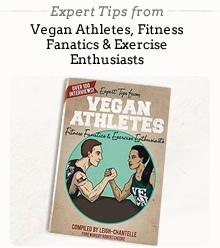 Expert Tips from Vegan Athletes, Fitness Fanatics & Exercise Enthusiasts is a collection of interviews with inspiring vegans who are immersed in the fitness world. 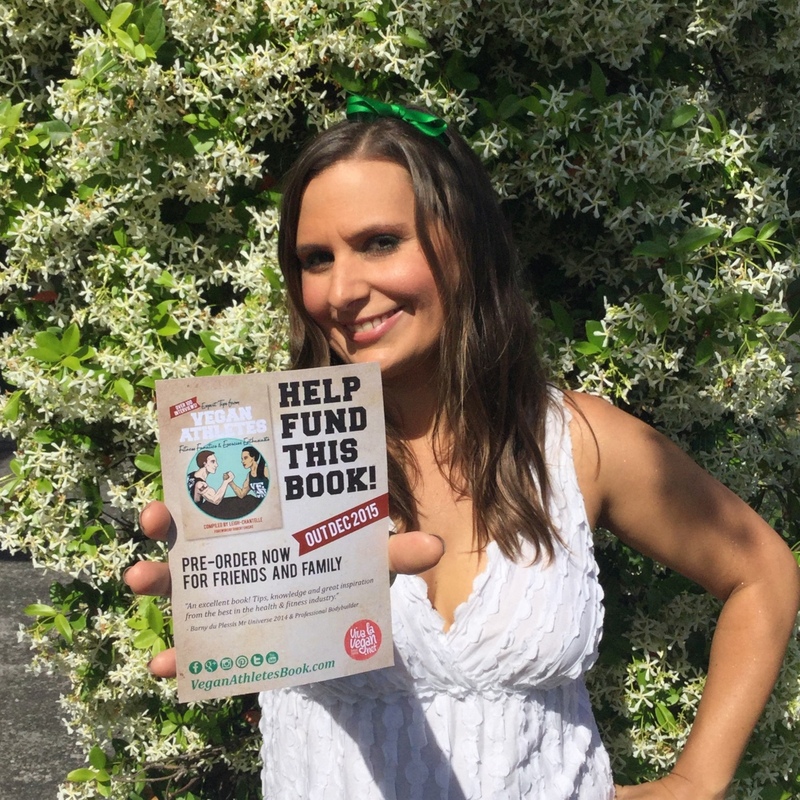 You will be introduced to over 100 vegans who share their fitness training, knowledge and advice, their favourite foods, and just what to say when someone asks where they get their protein from! Many different athletes from all over the world have been interviewed for this book, which started as an online series in 2012. There are Olympians, professional sports people, personal trainers, and those who simply live for working out and being fit. Many vegan athletes have found success in their fields by adopting a plant-based diet, and a more compassionate, ethical way of living. Use their knowledge and stories as a guiding light towards a brighter future, and as a source of inspiration to encourage your own focus on your chosen fitness goals, and guarantee that you also excel. I made a commitment to myself that if I could interview 100 people, I would release a print book with all of the athletes. Well, the time is now! There are 111 people interviewed in this book, and I’d love to be able to send every one of them involved a copy of the print book. I have already covered the expenses involved with illustration, design, submission, promotional materials and the website. The book will also be available to purchase via Amazon, Barnes and Noble etc sometime in December. Please help out as much as you can. I’ve you can’t offer any monetary support, please share the crowd funding information online or via email, to your friends and family. I appreciate you getting on board! SEE the vivalavegan.net website and check out the massive amount of content to absorb - the 10th anniversary re-launch of the website is coming very soon!